Read 9 reviews or write your own. 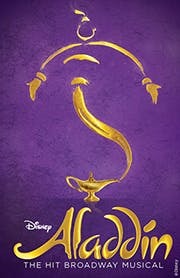 It's spritely directed and choreographed by Casey Nicholaw, well sung by a huge 35-person cast wearing an alarming number of harem pants, and hits that sweet spot Disney Theatrical Productions do so well, a saccharine fairy tale for the kids cut by some sly, vinegary quips for their parents. The carpet flies, kids, and it's awesome. 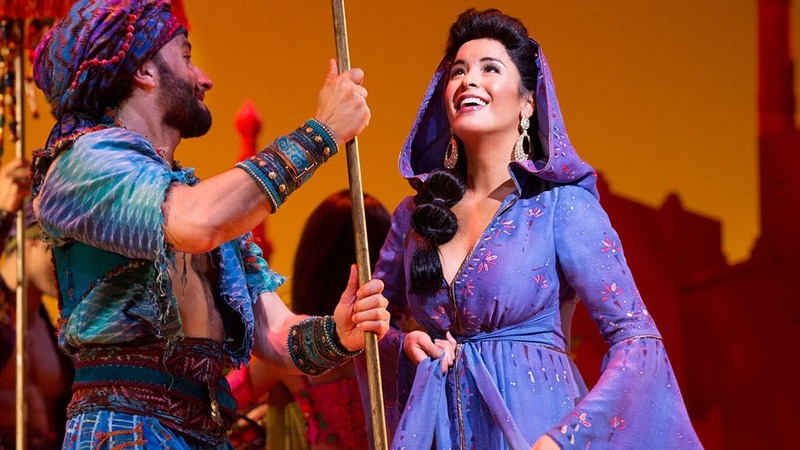 Such awesomeness, of course, is to be expected from 'Aladdin,' Disney's latest Broadway translation of a beloved animated fantasy. 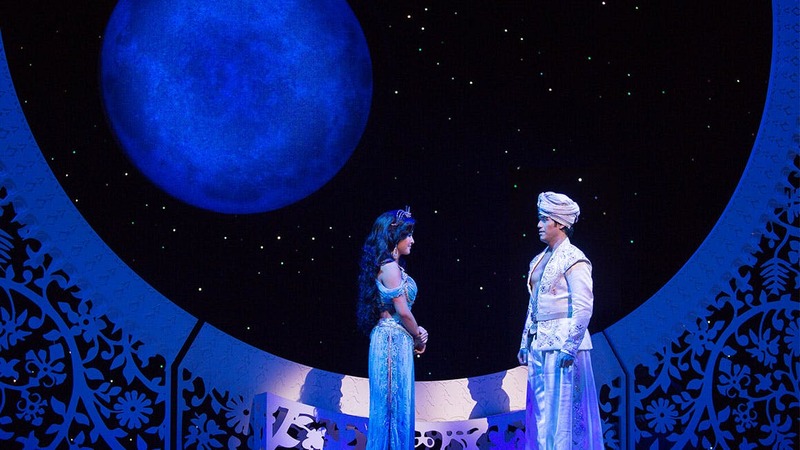 But what's a whole new world, as the song promises, is the almost modest, down-to-earth human scale of director-choreographer Casey Nicholaw's big, cheerful production -- an enjoyable throwback to old-time musical comedy. 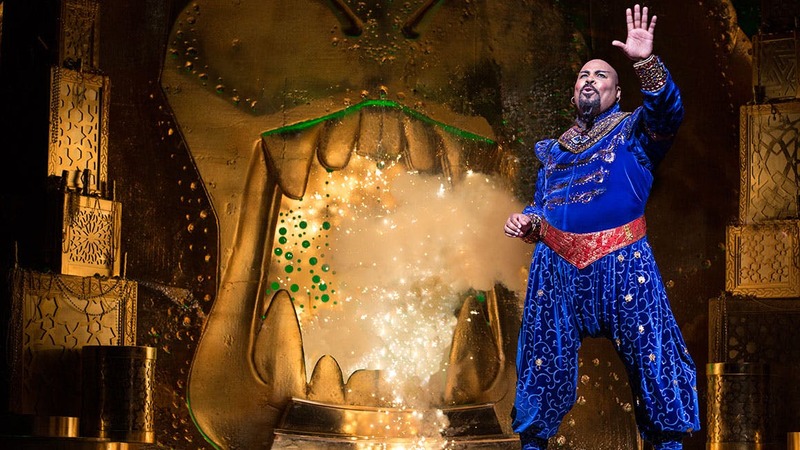 Billing notwithstanding, the real star of 'Aladdin' is James Monroe Iglehart, who plays the guy in the lamp, a part that was voiced in the movie by Robin Williams at his most frenetic. 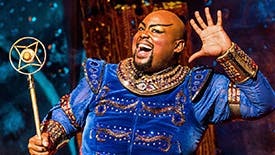 Mr. Iglehart is just as energetic, though his approach is different: His Genie is a hopped-up cross between Fats Waller and Cab Calloway. 'Friend Like Me,' his big first-act number, comes within a cat's whisker of stopping the show. 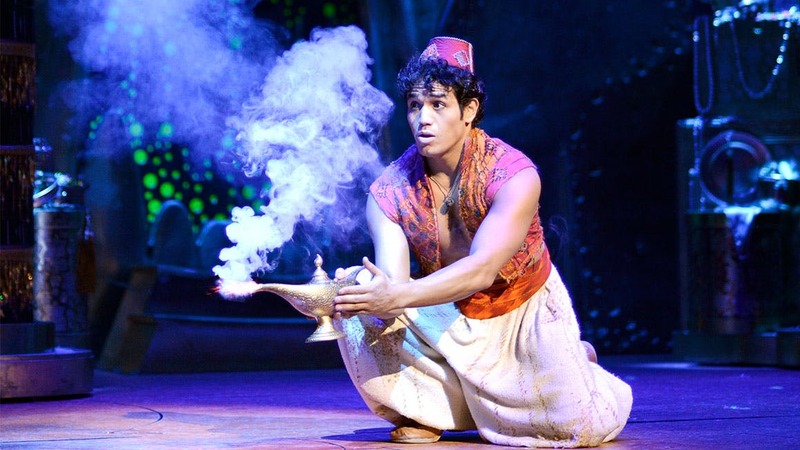 Aladdin has arrived on Broadway, and audiences and critics agree: This show is a hit! 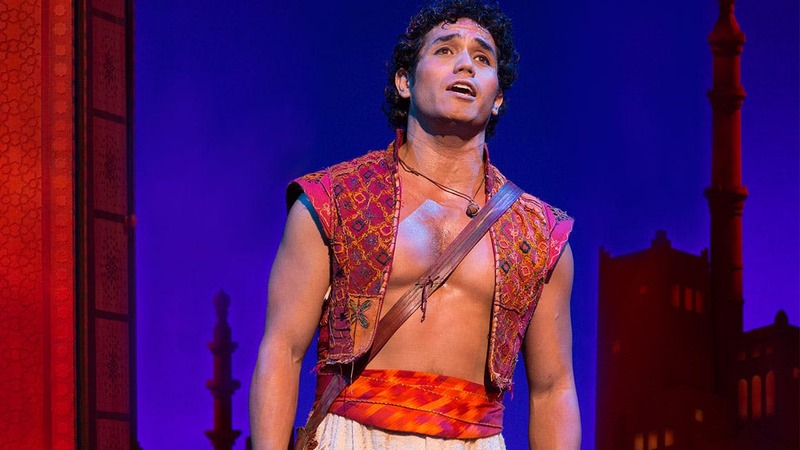 This brand-new stage production is directed and choreographed by Tony Award winner Casey Nicholaw, and composed by Tony Award winner Alan Menken. It features lyrics penned by the legendary Howard Ashman and Tony Award winner Tim Rice, with book and additional lyrics by Chad Beguelin. 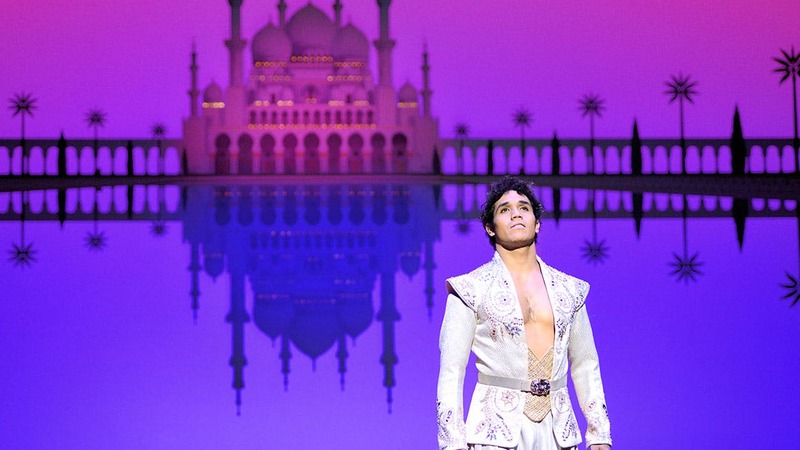 Aladdin also showcases an incomparable design team with exquisite sets, costumes and lighting by multiple Tony Award winners Bob Crowley, Gregg Barnes and Natasha Katz.